I always root for good restaurants to succeed in Santa Monica, but after years of disappointing closures, I’ve come to think of its dining scene as star-crossed. On one side, the city is locked in by the ocean, while on the other, it must contend with LA’s dense sprawl and traffic, which often discourages many Angelenos from making the trek over here. Sure, they come for the beach and ocean breeze, perhaps to take out-of-towners for a stroll along Third Street Promenade, or -- if they’re under 30 -- to hit up the Main St bar crawl. 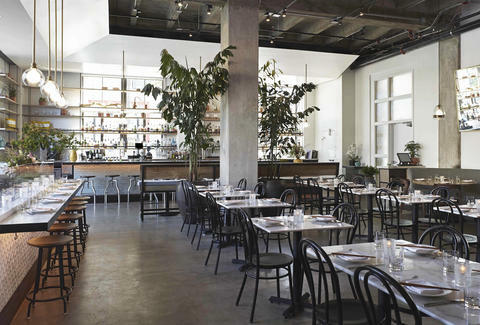 But unless they’re Westsiders, not many feel like braving gridlock and battling for parking for their stomach’s sake -- even if a celebrated and now shuttered restaurant like Aestus once served the best seared foie gras this side of the 405. 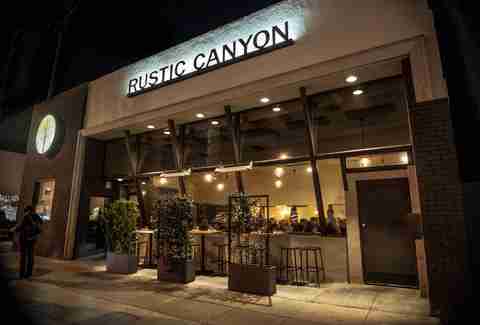 Over the past few years, a handful of restaurants have opened in Santa Monica with well-deserved fanfare. 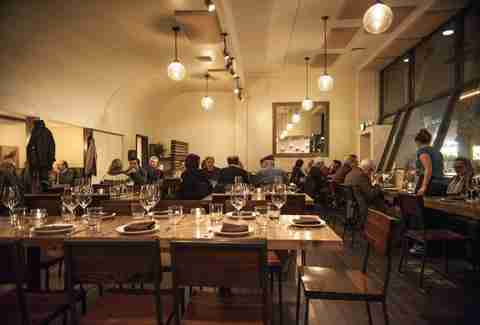 But for every shiny newcomer, there’s a stellar eatery in the neighborhood that succumbs to closure -- whether it’s a long-standing fixture like 18-year-old French bistro JiRaffe, or a relative newcomer such as the short-lived Cadet. Great restaurants -- not all, but many -- can’t seem to make it here for very long, and we wanted to get to the bottom of it. 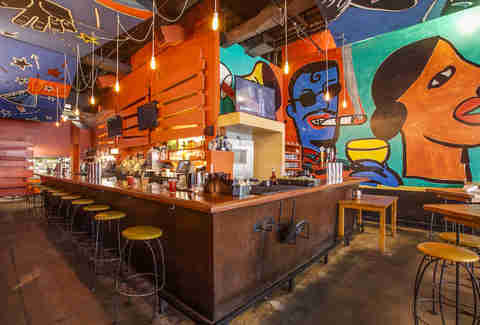 However, even taking into account the industry’s built-in struggles, Santa Monica’s been slow to catch up to the dynamic restaurant scenes in Downtown Los Angeles, Koreatown, and Silver Lake. There are certainly gems, from full-service places like Tar & Roses, Cassia, and Mélisse to take-out spots like Bay Cities and Sweetfin Poké. But among those who love to eat and explore new restaurants, Santa Monica has a reputation as a mediocre foodie destination. Lately, even warmly received, locally supported eateries can’t seem to keep their doors open here. Some have enjoyed long-term tenure (Monsoon Café, Border Grill) and others scored decent runs (Hostaria del Piccolo, Rawvolution), but many barely lasted one or two years (Ciboteca, Cadet, Aestus, Maru). Santa Monica’s proximity to the ocean, which makes it an alluring place to live and a tourist draw, is both a blessing (flip-flops year-round) and a curse (traffic galore). Although the increased foot traffic from visitors boosts the area’s economy, it also means significantly congested streets. According to Jennifer Taylor, the city’s Economic Development Administrator, Santa Monica hosted 8.3 million visitors last year (as opposed to 7.3 million in 2014). The influx of tourists also means the proliferation of shiny corporate chains, which offer out-of-towners familiarity and consistency. “When I opened 24 years ago, Santa Monica was a sleepy beach town,” says Gentry. “This was pre-Promenade. Then Starbucks came and made a Frappuccino. 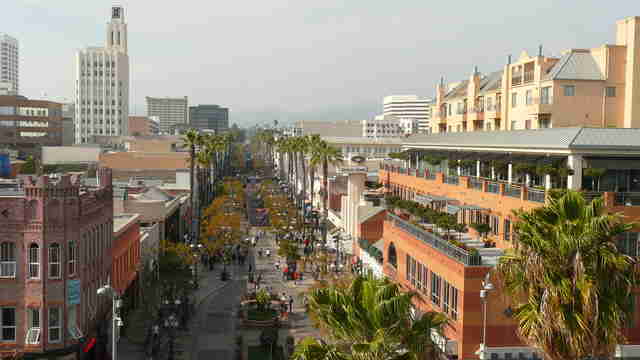 They pushed out the independent coffee shops, the funky places, and they got the competition to come, like Coffee Bean and Peet's.” Then there’s Santa Monica Place -- once heralded as the city’s crown jewel of a mall, replete with a spanking-new dining deck -- which hemorrhages restaurants (casualties include Pizza Antica, Redwood Grille, and Xino). Now, its pride and joy is a perpetually busy Cheesecake Factory. Regardless of the actual impact of homelessness on safety, the perception held by many is that more homeless people equals increased crime. That could deter diners from visiting and new restaurants from opening in Santa Monica, which has a higher percentage of homeless people than other nearby affluent communities. To put it in perspective, a 2016 report counted 728 homeless individuals in Santa Monica (according to a 2013 census, the city’s population is 92,472), whereas Beverly Hills, which boasts a population of 34,658, and West Hollywood, with a population of 35,288, have a homeless count of 13 and 87 respectively. It makes sense. After all, Santa Monica’s corporate takeover is happening in other metropolitan areas, too. Just like the federal and state governments, local authorities need to generate tax revenue to provide services to their constituents. And whether we like it or not, many believe larger corporations are more stable revenue generators, so local laws and regulations are tailored to attract the Starbucks, Gaps, and Apples of the world. To its credit, the city has implemented policies intended to nurture restaurants, such as discounted sidewalk space. “The outdoor dining license fees are kept affordable in order to serve as an incentive,” says Taylor. 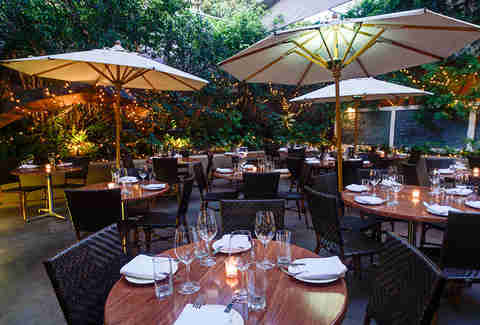 “This helps restaurants expand their visibility, increase seating, and take advantage of the climate. It also helps to make our commercial districts active and vibrant, so it’s a win-win.” Taylor says the city’s leasing policy guidelines, which apply to city-owned property at the Santa Monica Pier and in Downtown Santa Monica, prioritize locally owned businesses. In the hopes of helping people navigate the city’s permit and license process, they’ve also developed resource guides for starting a restaurant or cafe. 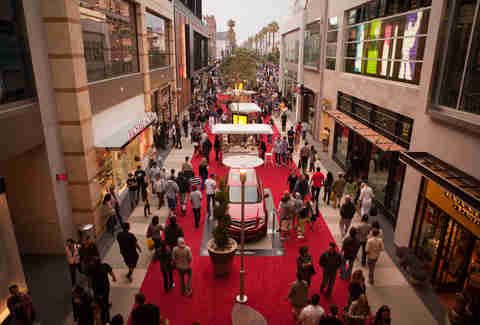 And Buy Local Santa Monica, an ongoing free marketing campaign designed to raise awareness of local businesses, was first launched in 2009. The city insists that despite these adversities, opening a restaurant in Santa Monica is still highly advantageous. “For any challenges Santa Monica presents as an expensive, competitive location, the benefits are greater,” McKeown promises. There’s no shortage of people clamoring to do business in this beautiful city, including Makani Gerardi, who’s the chef/owner of Pono Burger. “We chose Santa Monica because we wanted to be a part of this community, especially because it's always changing -- from the growth of the tech segment to most recently, the new Metro line. There are a lot of restaurants here, but there are also a lot of people to feed, so we just focus on doing that and doing it with care.” Meanwhile, Licklider says that since Aestus closed, he’s received numerous inquiries from restaurant operators about the location. 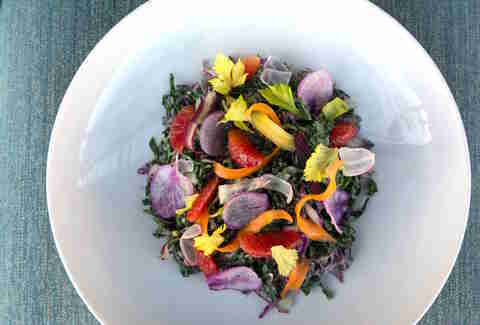 No wonder new incarnations keep popping up where Santa Monica restaurants shutter: Real Food Daily’s been turned into another plant-based concept, Erven; a modern Greek joint called Inotheke has set up shop in the old Hostaria del Piccolo space; and seafood restaurant Maré’s taken up residence in the former JiRaffe. Only time will tell if these dining establishments will survive and thrive -- and for the sake of our stomachs, fingers crossed they do. When she’s not crusading for great restaurants in Santa Monica, Tiffany Tse freelances for Thrillist. Follow her on Twitter at @twinksy and Instagram at @twinksy.